Do you like riding your bike? Then our club is for you! 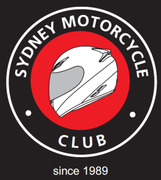 The Sydney Motorcycle Club is a social club for motorcycle and pillions riders that started in 1989 and is still going strong. We have a lot of friendly members with experience and knowledge about the best places to stay and the greatest roads to get there. You may be an experienced rider, or on your Red or Green P Plate or a returning rider coming back from a long break, regardless all riders are welcome to join in with us. We cater for all levels in our ride guidelines to ensure all are kept safe on each trip away or on our day rides. The ride calendar is organised by the Club's Ride Committee every June/July and December/January for the six months folllowing. The Ride Committee will consider posting a ride requested by an club member as long as the requestor is an experienced and active club rider and is willing to lead and coordinate the ride. If any member wishes to host a ride then please email the Ride Committee with their request including the full ride details. From time to time an ad hoc ride may be posted on relatively short notice if no other ride is schedule. All active members will receive email notifications of new rides or amendments to existing rides. Some rides will require a minimum number or RSVP's otherwise the ride may be cancelled. We choose to start all of our rides at safe locations that are easy for all to find, they need have fuel, parking and coffee available for anyone wishing it. Starting rides that put attendees in heavy traffic, are usually the reason for breaking up a group and causing the riders to concentrate on where the others went rather that their position in the traffic flow. Its dangerous, that's why we do what we do. We do from time to time use additional locations, we then post them on Meet Up along with the additional information on the ride. We are a social club that organises rides. There are 5 requirements listed below that are compulsory to give for us to allow you to join our group. No info no go. After you have attended a couple of local day rides with us, you will then be able to attend weekends away. At this time you will be asked to give a deposit to your ride leader for this trip towards accommodation etc. Again, this will be No Deposit No Go. Overnighters and New riders: Frequently the Club will host weekend or overnight rides with accommodation in a rural location usually at a pub. If a Club member that has not attended a ride or the ride Host does not know you and you are interested in attending an overnighter then please contact the ride host/coordinator to discuss your accommodation arrangements and associated cost. You may be required to pay a $50 upfront contribution at the time of your RSVP but this is up to the ride host. If this sounds like something that may interest you, give us a try, we look forward to meeting you on a ride soon and enjoying good times together.